Whether you are experiencing joint pain or muscle weakness, or you are recovering from surgery, we can help you return to the active lifestyle you want to live. The physical therapy team at HealthPoint provides a wide variety of services and expertise in caring for acute and sports-related injuries, postsurgical pain and immobility, and chronic orthopedic conditions as well as pediatric and geriatric conditions. Our therapists have an exercise focus, supplemented with hands-on therapy, and will guide you through a plan designed to correct your particular injury and help prevent future injuries. At HealthPoint, you can expect a whole-body therapy experience that will direct you back to a healthy, pain-free way of life. Our open gym layout allows us the freedom to carry out a multitude of dynamic strengthening exercises that will get you on the road to recovery in no time. In addition, our partitioned semiprivate and private rooms provide the opportunity for privacy if desired. Our 25-foot by 15-foot pool features varying depth levels and is kept at a very comfortable 90 degrees. This combination of comfortable water temperature and buoyancy allows our patients to exercise with decreased stress on the joints. The warm-water pool is an excellent way to strengthen and decrease pain in the low back, alleviate pain due to arthritic conditions, and work on balance and gait difficulties associated with neurological conditions. Most insurance providers cover aquatic therapy. Ask your physician if our warm-water pool would be a good fit for you. We offer comprehensive balance testing and training to individuals of all ages. This program includes an objective assessment of balance, vision, dizziness, and strength as well as walking and movement tests. If necessary, our specialized NeuroCom® Balance Master family of products can provide a detailed objective assessment of your sensory and voluntary balance control. HealthPoint physical therapists will use this information to create a customized program to help reduce the risk of falls and other balance problems. Our therapists are specially trained to help people experiencing dizziness and related symptoms such as vertigo, headaches, nausea, visual floaters, and neck pain – all of which can significantly impact a person’s daily functioning. Many of these conditions are treatable with physical therapy. Dry needling is a technique in which very thin needles are inserted into a trigger point (a knot of muscle tissue) to decrease pain and restore function. It can help to alleviate chronic pain, muscle strains and sprains, osteoarthritis, bursitis, and headaches, among other conditions. It is also sometimes referred to as myofascial trigger point dry needling. Anterior cruciate ligament (ACL) injuries. If you have an ACL injury or are recuperating from a surgical repair of an ACL injury, the physical therapists at HealthPoint can help. Our large, therapy-designated open area allows for individual care as well as dynamic sport-specific exercise. With several therapists well-versed in the treatment of ACL injuries, you can expect expert professional care to increase your strength and flexibility so that you can return to your usual sport or recreational activities as quickly as possible. You should anticipate getting plenty of personal attention with a treatment plan tailored to your specific needs and goals. Recovery from total joint replacement. Whether you recently underwent surgery to replace a knee or shoulder joint, we have the expertise and therapeutic equipment that can put you on the path to proper recovery. Rotator cuff injuries. Whether you experienced a shoulder strain or underwent surgical repair of the rotator cuff, we have the equipment and resources to help such as our Kinesis® pulley-guided resistance system. We can also create and provide guidance for personalized home exercise programs that include range of motion exercises. Footwear that allows stable, biomechanically sound movement can make all the difference. This is true for patients of all ages and athletic abilities – whether you are a young, competitive athlete or older more sedentary adult who suffers from arthritis. At HealthPoint, we specialize in the creation of custom orthotics to meet your every podiatric condition, from plantar fasciitis, flat feet, bunions, and leg length discrepancies, to simply tired feet. The HealthPoint physical therapy staff works with infants through school-aged children to improve motor development, balance and coordination skills, and more. Any child whose motor development has been impacted by medical or environmental factors may benefit from physical therapy. We also provide physical therapy to infants and children with special needs. Our goal in all cases is to partner with parents to help each child reach his or her maximum potential. Parents are encouraged to participate in the sessions when appropriate. Therapy is typically provided in a play-based setting and is tailored to each child’s specific needs. We have pediatric treatment rooms stocked with toys and games – even a swing. We also work with a variety of specialty services, including orthotic and medical equipment providers, who come to HealthPoint for added convenience. In addition, we can coordinate the services of occupational therapists and speech therapists should they be required. Whether you are a weekend warrior or an outstanding athlete, HealthPoint’s rehabilitation staff has the athletic trainers, physical therapists, and exercise physiologists you need to treat your condition and get you back in the game. The key to a quick recovery from a sports injury is an accurate diagnosis and acute treatment. Our therapists work closely with physicians, coaches, athletes, and patients to maximize rehab potential and injury prevention. Have you or a loved one suffered a stroke or traumatic brain injury (TBI)? HealthPoint physical therapists can help you or your loved one regain independence. Our therapists focus on total body strengthening, coordination, corrective movements, balance, and functional mobility, with a goal of returning you to your previous self. Whether we are teaching proper gait techniques, increasing stability, strengthening the core or lower extremities, you can expect to be challenged in order to help correct areas in need of improvement. We can also recommend appropriate assistive devices if needed. Wooster Community Hospital’s HealthPoint facility is now offering video analysis for injury prevention and improved sports performance. Our physical therapists and athletic trainers use state-of-the-art video analysis software (Dartfish) to identify movement compensation that predisposes a patient to injury. Injury prevention: Our therapists and trainers assess everyday functional movement patterns such as pushing, pulling, squatting, and walking to design individualized corrective exercise strategies to improve movement quality and decrease pain. Sports performance: Let our staff help you to return to your sport with confidence. Our therapists and trainers analyze your biomechanics using sport-specific movements such as running, jumping, overhead throwing, underhand throwing, baseball swings, and golf swings. Athletes receive an individualized exercise program to help them prevent injury and maximize their performance on the field or court. Our staff is comprised of board-certified specialists and therapists with advanced credentials. Many of our staff members have presented at national conferences and are very involved in the latest research to improve patient outcomes. Kelleigh graduated in 2000 with a bachelor’s degree in physical therapy from Medical College of Ohio in consortium with the University of Toledo. She has 11 years of skilled nursing experience with an emphasis on geriatric rehabilitation and geriatric community reintegration. Kelleigh enjoys working with medically complex patients in both acute and post-acute settings. 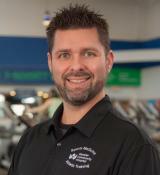 Jim has been practicing physical therapy for the past 24 years. Focusing on outpatient orthopedics, especially spine care, he became a certified McKenzie Method® therapist (mechanical diagnosis and treatment of the spine, or MDT) in 2008. Jim graduated from University of Findlay in 1997 with a bachelor of science in physical therapy and from Stark State College in 1992 with an associate’s degree in physical therapy assisting. Jim maintains a healthy lifestyle through various types of fitness training. 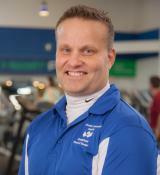 Brian is the manager of rehabilitation, health and wellness, and corporate care at HealthPoint. He earned a master’s degree in business administration. He is an American Physical Therapy Association sports certified specialist (SCS), National Strength and Conditioning Association-certified strength and conditioning specialist (CSCS), and he works with soccer players, overhead athletes, runners, and multisport athletes. 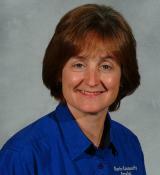 Jill is a 1991 physical therapy graduate of The Ohio State University. She became credentialed in mechanical diagnosis and treatment (MDT) of the spine through the international McKenzie Institute in 2006. She especially has a passion for good customer service. Jill also enjoys water activities such as boating, swimming, water skiing, and vacationing at the beach. 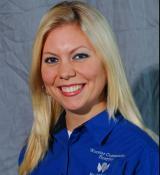 Nicole graduated in 2002 from Walsh University with a master of science in physical therapy. She has been working at Wooster Community Hospital since 2003. Her areas of expertise include post-op orthopedics, geriatrics, and acute care. Nicole is married with two sons and loves spending time with her family. Megan graduated from Stark State College in 2009 with an associate’s degree in applied science in occupational therapy technology. She began working for Wooster Community Hospital in 2009 and became a full staff member in March 2013 in the transitional care unit (TCU). Megan enjoys working with patients of all ages to help them gain independence in their daily tasks. 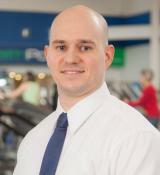 Justin is a 2008 graduate of Stark State College with an associate’s degree in physical therapy. Since graduating, he has primarily focused on outpatient orthopedics and has taken a special interest in spinal pathology and the treatment of athletes. 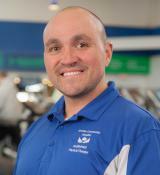 Justin is also a certified personal trainer (CPT) and certified corrective exercise specialist (CES). In his free time, Justin enjoys strength training, running, and spending time with family and friends. Wayne received a bachelor of arts in athletic training from Capital University in 2002. Since graduating, he has been a clinical and high school athletic trainer with experience in treating patients of all ages and athletes at every level of competition. He is currently the athletic trainer for the Wooster Oilers hockey team and Wooster High School. When Wayne is not working he enjoys the outdoors, playing sports, and spending time with his family and friends. Kristina is a 2004 graduate of North Central State College, where she received her associate’s degree in physical therapy assisting. Kristina enjoys working with a variety of patient conditions. 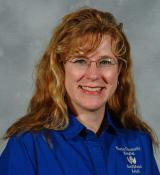 As clinical coordinator, she organizes and assists students with their clinical experiences. Kristina resides in Wooster with her husband and children. Eric is a 1993 graduate of Bowling Green State University with a bachelor of science in education/sports management. 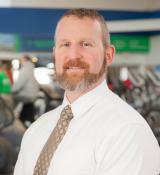 He graduated from Slippery Rock University with a doctorate in physical therapy in 2000. He has continued in his education to become vestibular certified, an orthopedic certified specialist (OCS), and a certified strength and conditioning specialist (CSCS). He is married and lives in Creston with his wife and three sons. In his free time, Eric enjoys working out, family time, and church functions. Sean graduated from Marietta College in 1997 with a bachelor of science degree in sports medicine and obtained a master of science from The Ohio University in 1998. Following that, Sean served as the athletic trainer for Orrville High School for seven years until earning his master of science in physical therapy in 2005. 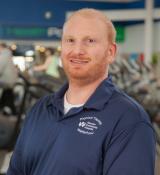 Sean has experience in rehabilitating athletes at both the high school and collegiate levels in all sports. Sean currently resides in Orrville with his two children. Emily graduated from Stark State College in 2005 with an associate’s degree in applied science in occupational therapy technology, and from Kent State University in 2000 with an associate’s degree in liberal arts. 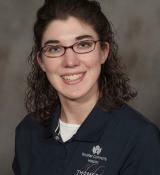 In 2007, Emily joined Wooster Community Hospital, focusing on inpatient rehabilitation. April received her associate’s degree in physical therapy assisting and has worked for Wooster Community Hospital since 1997. She enjoys working with varying types of patients from the young athlete to the older adult struggling with balance and strength issues. April is married and has three daughters. She is also involved at her church and enjoys being with family and friends in her spare time. Amy graduated from Malone University where she earned her bachelor’s degree in sport science and became a certified athletic trainer and certified personal trainer (CPT). While at Malone, she played soccer and ran track. 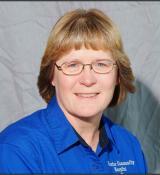 She has been an athletic trainer in both the high school and collegiate arena. Her areas of expertise include injury prevention and rehabilitation, improving strength, speed, agility, and (ultimately) character in athletes of all ages. Kim graduated from the Ohio College of Massotherapy and is a licensed massage therapist (LMT). Kim is trained in deep tissue massage, myofascial release, pregnancy massage, and hot stone massage therapy. She also graduated from North Central State College in 2008 with an associate’s degree in physical therapy assisting and received her personal training certificate (CPT) from the National Academy of Sports Medicine. 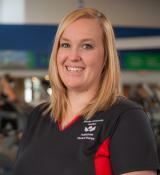 She specializes in manual therapy, combining massage and physical therapy to promote wellness. 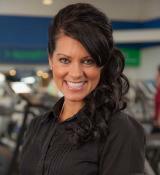 Kim is married with two sons and enjoys personal fitness and spending time with her family. Brian graduated with honors in 2009 from North Central State College with an associate’s degree in physical therapy assisting. He was a member of the Phi Theta Kappa Honor Society while at NCSC. He is a certified speed specialist (CSS) through the National Academy of Speed and Explosion. He is also a certified personal trainer (CPT) through the National Academy of Sports Medicine. He received his bachelor of science in wellness and fitness from the University of California in Pennsylvania in 2016. 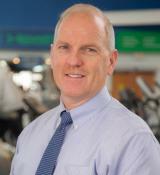 His strengths include evidence-based rehabilitation, orthopedic therapy, and sports medicine rehabilitation. Brian lives in Wooster with his wife, Angela, and daughter Kylee. 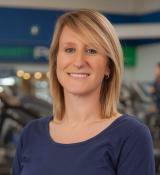 Erin graduated from Kent State University in 2007 with an undergraduate degree in exercise physiology. She then pursued her doctorate in physical therapy at the University of Indianapolis, graduating in 2010 with a focus in orthopedics. She has since continued her education, becoming a functional movement specialist, and she enjoys working with athletes and returning players to their sport. She is married with two sons. Linda received her bachelor of science in physical therapy from the Medical College of Georgia in 1981. 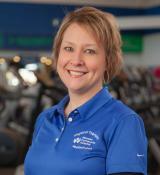 She specializes in pediatrics and school-based physical therapy. Linda enjoys spending time with her grandsons and helping out with church activities. Corey received his associate’s degree in physical therapy assisting from Pima Medical Institute in 2010followed by a bachelor of science in biology at the University of Akron, where he played collegiate soccer. He then pursued his doctor of physical therapy from the University of Findlay in 2015. Corey enjoys treating various orthopedic injuries and neurological conditions. In his free time, he enjoys running, playing soccer, and spending time with his family. He lives in Wooster with his wife and two daughters. Angela is a 2000 graduate of Bowling Green State University with a bachelor of science in gerontology and a minor in biology. She then earned her master’s degree in physical therapy from Andrews University in 2002. 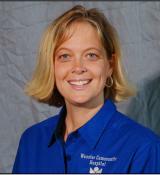 Angela started working for Wooster Community Hospital in 2003. She enjoys working with patients who have a variety of orthopedic conditions as well as balance and vestibular disorders. She has been trained on the NeuroCom® Equitest Balance Master as well as Dartfish video analysis software. She is also a corrective exercise specialist (CES). Angela is married and has three children, and she enjoys spending time with her family and friends. 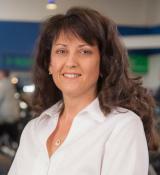 Cindy received her master of science in physical therapy from Boston University in 1987. 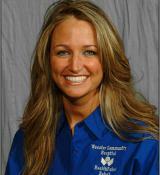 She has worked at Wooster Community Hospital since 2005, primarily in acute care. She enjoys traveling and spending time with her family. Kris Troup is a 1992 graduate of Stark Technical College, where she received her associate’s degree in physical therapy assisting. She specializes in pediatrics and rehabilitation and works in the clinic and with an area school system. Kris loves to hike in the national forests. Kelly graduated from The Ohio State University in 1995 with a bachelor’s degree in physical therapy. Her areas of expertise include neurological disorders, geriatrics, and acute care. In her spare time, she enjoys spending time with her family. For more information about how physical therapy at HealthPoint can benefit you, call (330) 202-3300.